The Open Vulnerability Assessment System (OpenVAS) is a framework of several services and tools. 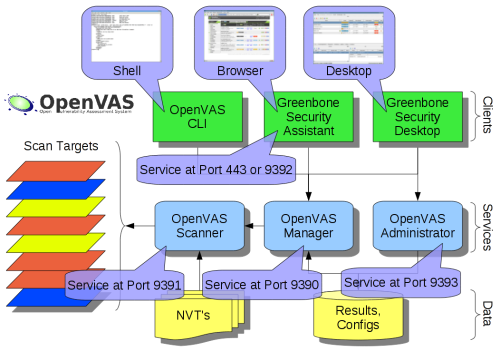 The core of this SSL-secured service-oriented architecture is the OpenVAS Scanner. The scanner very efficiently executes the actual Network Vulnerability Tests (NVTs) which are served with daily updates Openvas NVT Feed or via a commercial feed service. 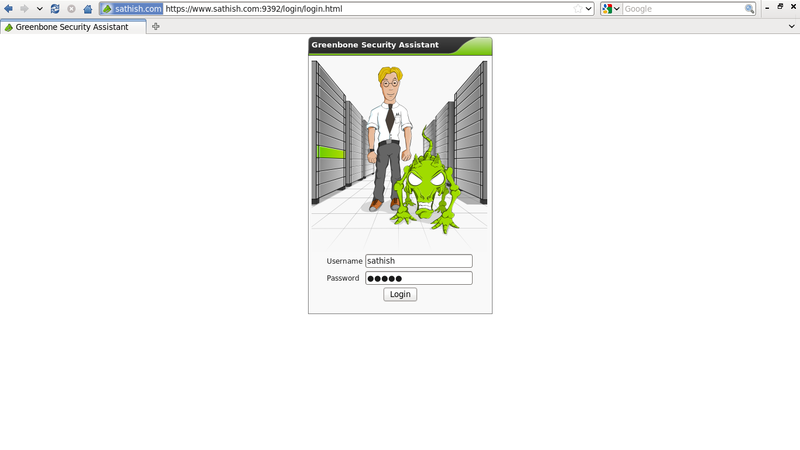 A couple of different OMP clients are available: The Greenbone Security Assistant (GSA) is a lean web service offering a user interface for web browsers. GSA uses XSL transformation stylesheet that converts OMP responses into HTML. 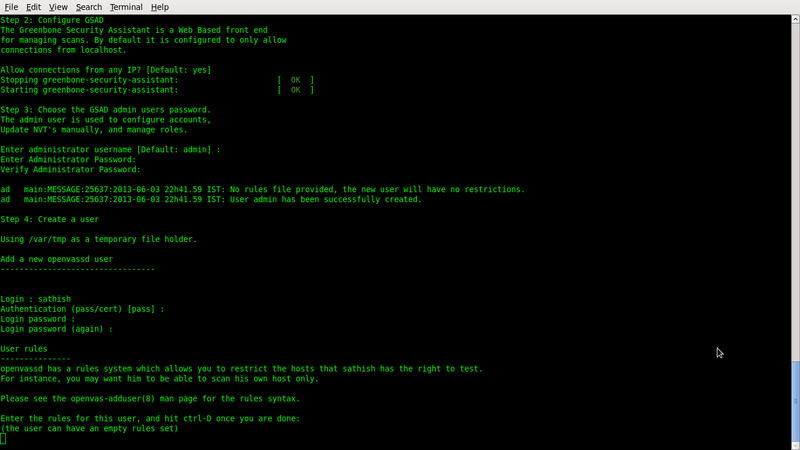 The Greenbone Security Desktop (GSD) is a Qt-based desktop client for OMP. It runs on various Linux, Windows and other operating systems. 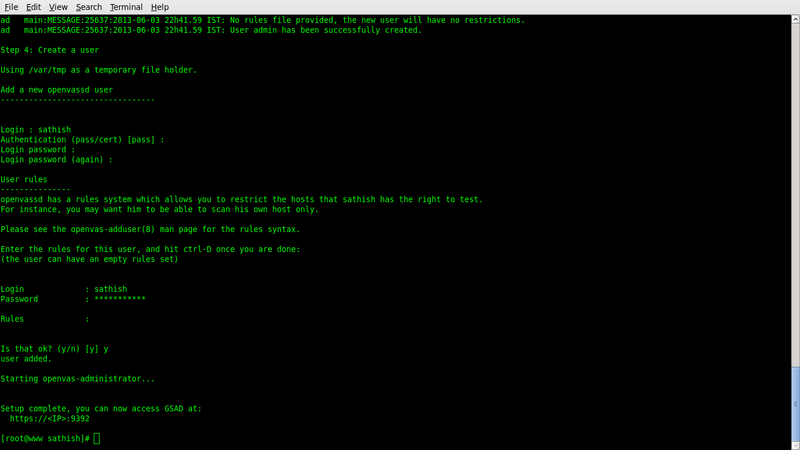 OpenVAS CLI contains the command line tool “omp” which allows to create batch processes to drive OpenVAS Manager. The OpenVAS Administrator acts as a command line tool or as a full service daemon offering the OpenVAS Administration Protocol (OAP). The most important tasks are the user management and feed management. GSA support OAP and users with the role “Admin” can access the OAP functionality. Most of the tools listed above share functionality that is aggregated in the OpenVAS Libraries. The OpenVAS Scanner offers the communication protocol OTP (OpenVAS Transfer Protocol) which allows to control the scan execution. This protocol is subject to be eventually replaced and thus it is not recommended to develop OTP clients. Traditionally, the desktop- and cli-tool OpenVAS Client acts as a direct OTP client. ad main:MESSAGE:3223:2012-01-19 11h09.05 IST: No rules file provided, the new user will have no restrictions. ad main:MESSAGE:3223:2012-01-19 11h09.05 IST: User admin has been successfully created. 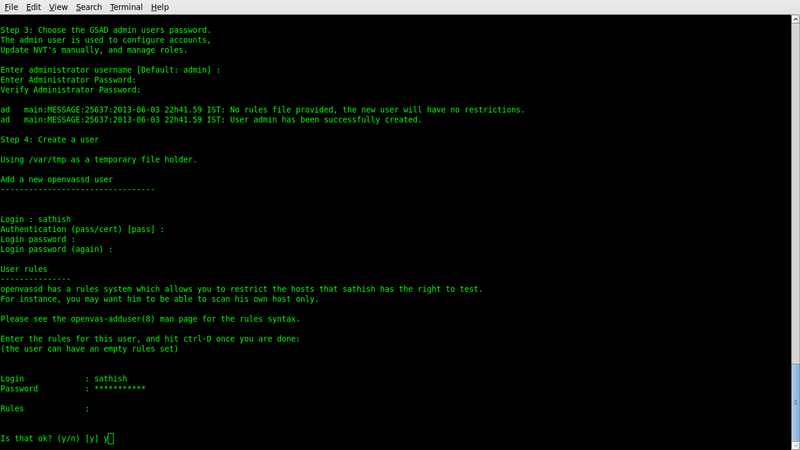 openvassd has a rules system which allows you to restrict the hosts that humus has the right to test. That’s it. OpenVAS server installation completed. 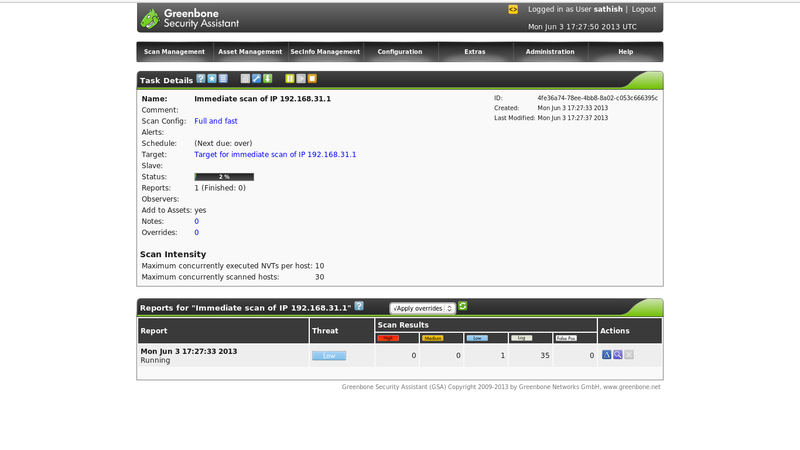 You can create new scans on your network and schdule them to run frequently and check their reports. Great post man Thank you! [i] This script synchronizes an NVT collection with the ‘OpenVAS NVT Feed’. [i] The ‘OpenVAS NVT Feed’ is provided by ‘The OpenVAS Project’. [i] Online information about this feed: ‘http://www.openvas.org/openvas-nvt-feed.html’. Error: rsync failed. Your NVT collection might be broken now. Generally, the price tag of the Serger machine is higher than typical sewing machine.